Last week I wrote regarding what a buyer needs to do to prepare to buy a home. Steps such as accumulating a down payment, developing credit, as well as others steps they can take to prepare were presented. Here I now present some of the next steps: finding a realtor, finding a lender, and locating the home. Purchasing a home will be one of the biggest investments a buyer will make! Experience matters! What determines experience? Knowledge and familiarity with the process of buying from beginning to end is the most important. A Buyer needs to utilize the internet, referrals, networking, and/or attending open houses to search for an agent. Interview more than one agent. Know the reputation of the agent’s brokerage company. Establish a comfortable working relationship. A buyer’s choice of whom will represent him/her will prove to be a “make it or break it” to find the best deal. Finding a lender is similar to finding a realtor. Find a lender from a bank’s lending department, a Realtor’s “in house” mortgage department, referrals, and/or an already established working relationship between realtor and lender. Again, interview the lender to assure yourself who will best represent you. Buyer should develop a strong sense of their home preferences, location, and the qualities of the community they want to reside in. As to the different options a buyer has to purchase a home, consult with the realtor and/or lender for more information. A Realtor can guide and streamline the purchase process for a Buyer. Utilize reputable websites. Website content should be current and accurate. The best websites should have data derived from first hand sources such as multiple listing services and Realtor associations. 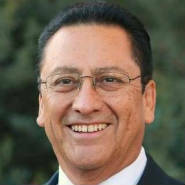 Please check out my website at www.nefcortez.com.